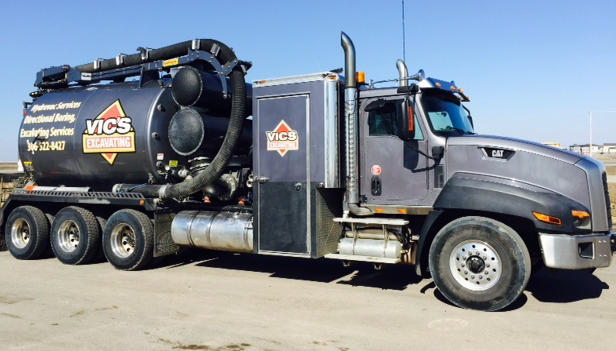 If you are building a new home or business, Vic’s Excavating Sewer & Water provides complete site excavation to install water and sewer, gas, power, and telephone lines. 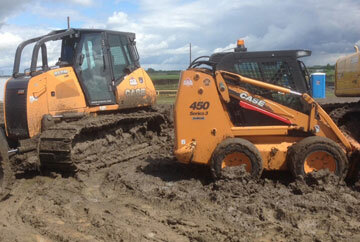 We have a wide variety of excavators from large track hoes to mini walk behinds. 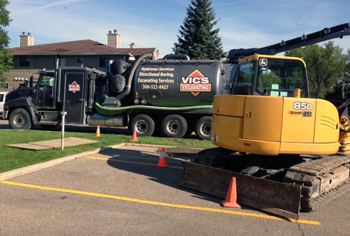 Vic’s Excavating Sewer & Water provides residential basement excavation for maintenance to existing homes and for basements undergoing repairs. We will excavate based on your survey site plan, to ensure that your new building or home is compliant with specific requirements outlined on the survey plan. 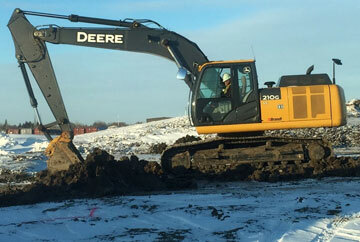 This includes: excavation, weeping tile, placement of gravel base, backfill, and final grading to specifications. We have vast experience in ensuring your new home or building is graded appropriately, which ensures you will not have problems related to the following: water, seepage, run off, etc. Vic’s Excavating Sewer & Water provides complete waterproofing solutions to keep your basement dry and comfortable for years to come. If you notice excess moisture, basement leaks or have basement flooding, contact us to inspect these issues. Weeping tile is one of the most important components to ensure your home has optimal flood protection. The weeping tile is a corrugated drain pipe that surrounds the perimeter of the basement and is used to drain excess groundwater collection away from the home. If there are any issues with the weeping tile, this puts your basement at risk to flooding. We will repair damaged weeping tiles and if needed provide a complete weeping tile replacement and installation. We also use track hoe machines to offer even more excavating services, including holding tanks, open discharge, and soil based field systems.